Our mission is to connect CUNY Hunter College pre-medical undergraduate students with current medical students, residents, and attendings through formal mentorship. This bond will be further fostered through the relationship between Hunter College and Weill Cornell Medical College. Our goal is to reach students at all levels of their pre-medical training – from the moment they first consider medicine, during the finalization of their medical school applications and beyond. 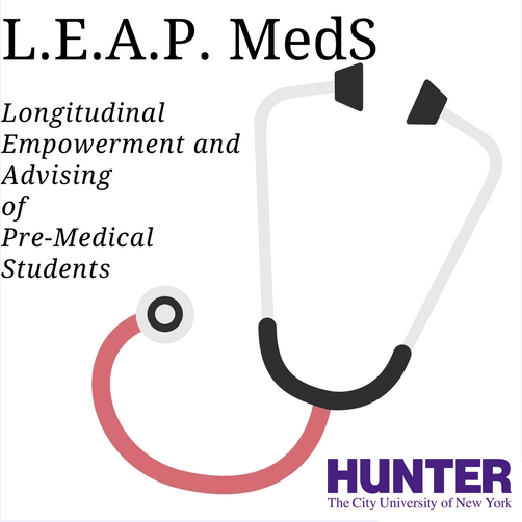 Through one-on-one meetings, group workshops, and a lecture series, we hope to assist in providing personalized guidance to students navigating the undergraduate pre-medical student process at Hunter College. We hope to foster a supportive environment that encourages each pre-medical student to achieve goals that are congruent with his/her personal vision for a future career in medicine. Our reach extends to all students who have faced personal challenges, adversity and/or any personal obstacle throughout their educational experience. We aim to support New York City students, including but not limited to students from backgrounds underrepresented in medicine, those from disadvantaged social or economic circumstances and/or those who aim to become the first medical doctor in their families. By developing meaningful mentorship relationships, our goal is to bring Hunter College students one step closer to achieving their personal and professional dreams and shaping the future of medicine.